There aren't too many people anywhere who wouldn't agree that France is one of the most beautiful countries in the world. Paris is a legendary and magical city. Provence is a fabulous area with incredible scenery and lovely little villages. And there are many other parts of the country with bustling cities and quiet villages. The food is uniformally wonderful (although some of the things on the menu might not appeal to everyone). Especially outside of the cities, the people are very nice, warm, and receptive to folks who try to fit in. Speaking some French is essential to living here. The French lifestyle is leisurely and the envy of much of the world. Getting a Visa. If you are a resident of the EU, Andorra, Monaco, or Switzerland you will have no problem retiring in France. However if you are from the U.S. or other country it can be a bit tricky. You might have to settle for part-time residency. The Long Stay visa is mandatory for all other foreigners intending to stay in France for more than 90 days over a 6 months period. It cannot be issued in France : the visa needs to be affixed in your passport prior to departure from the United States. Owning Property. Buying property in France is generally open to everyone, no what country you reside in. However, it is a very different system with many new pitfalls to watch out for. The French impose draconian rules that pertain to succession laws, succession, and capital gains taxes. You will need help in negotiating the system and avoiding problems in the future. 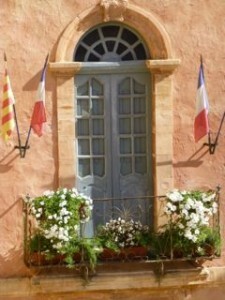 A 2013 report stated that many Brits are starting to buy property in France, motivated by low mortgage rates. See "Baby Boomers Back in Force". Cost of Living. Generally speaking, France is an expensive place to be as a tourist. Health care is inexpensive by comparison the U.S. The exchange rate with the Euro has an effect. Housing prices are equivalent to 1st world countries. if you live in a big city like Paris your apartment will be extremely expensive, but in a small town you might be able to purchase a home reasonably. Wine and beer are inexpensive in markets but high in bars and restaurants. Numbeo.com shows the Cost of Living Index plus Rent at 52 vs. 57 for the USA and 60 for the UK. The Local Purchasing Power Index is 119 vs. 139 for the USA and 120 for the UK. Taxes. Taxation is a complicated area and you should get professional advice. As an example of that, there was recent news that France would not tax income from UK citizens living in France that is earned in the UK. Previously it was subject to double taxation. Income earned in France would most likely be taxed. How that affects U.S. citizens living in France might be moot, as they probably cannot stay long enough to become full time residents. The French Property website is a helpful source, although it is primarily aimed at UK citizens. There are 2 kinds of residential taxes - , called the taxe d'habitation and the tax foncière. Crime and Security. From the U.S. State Department: "France is a relatively safe country. Most crimes are non-violent, but pick-pocketing is a significant problem. Political violence in Paris and throughout France is relatively uncommon, although there are occasional instances of extremely large demonstrations simultaneously occurring in many French cities. Large demonstrations in Paris are generally managed by a strong police presence, but even demonstrations intended to be peaceful can turn confrontational and possibly escalate into violence. " Medical. French medical care is of very high quality and low cost. U.S. Medicare is not applicable in France. Citizens of the European Union probably have health care insurance that works in Spain. If you are living here having come from the U.S. you should research whether your health insurance provides coverage. If not, consider purchasing some here. Weather. France offers a wide variety of weather experiences. In the north and in the Alps the winters are cold and wet. The Atlantic coastline is more moderate. The south of France is very dry and winters are relatively mild, with snow a rarity. Plusses and Minuses. Like any country there are plusses and minuses to retiring in France. The food, scenic beauty, and ideal lifestyle are top appeals. However, as an outsider you might never feel that you really belong. It is safe here, but also more expensive than many alternatives. If you are non-EU citizen, it will be hard to live here permanently. Places to Live. From the City of Light (Paris) to the countryside of Normandy, Brittany, or Provence - France has beautiful cities, towns, and villages to choose from. See the list of French towns for which we have reviews at the right.